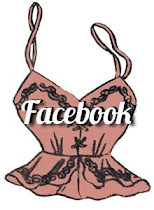 Today my lovely readers I would like to show you a wonderful piece of vintage lingerie from my personal collection. 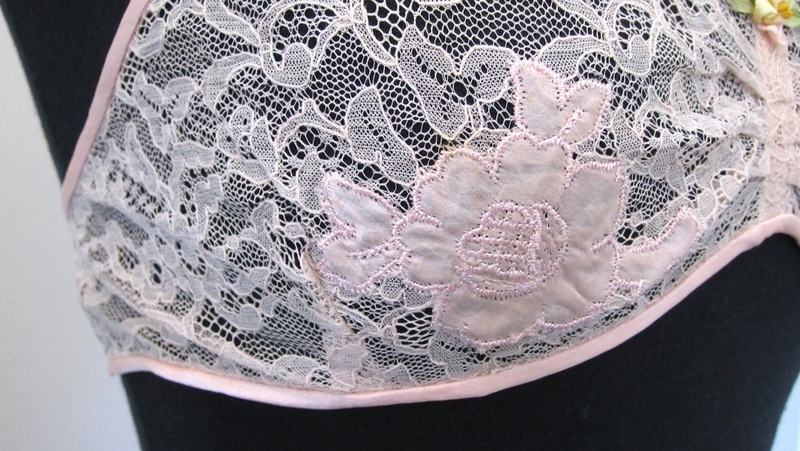 This 1930's lace bra has so many beautiful little details that I just had to share it with you. This bra has many hand made details but has a size 34 label so it was most likely made for resale at a very nice shop. 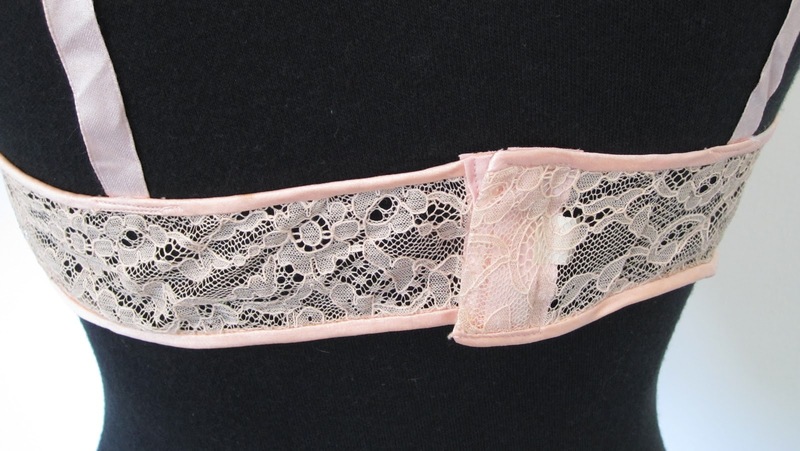 The straps, rosette and binding are all silk ribbon, and the lace is incredibly soft. Notice the lovely tricolor petals on the silk rosette and these little center pleats to give fullness to the bust... a lovely but futile attempt with a bra that reveals nearly everything. One cup has a silk flower applique... something that looks a bit like a signature to me. At first I thought it was to mend a tear in the lace, but underneath the lace is flawless. 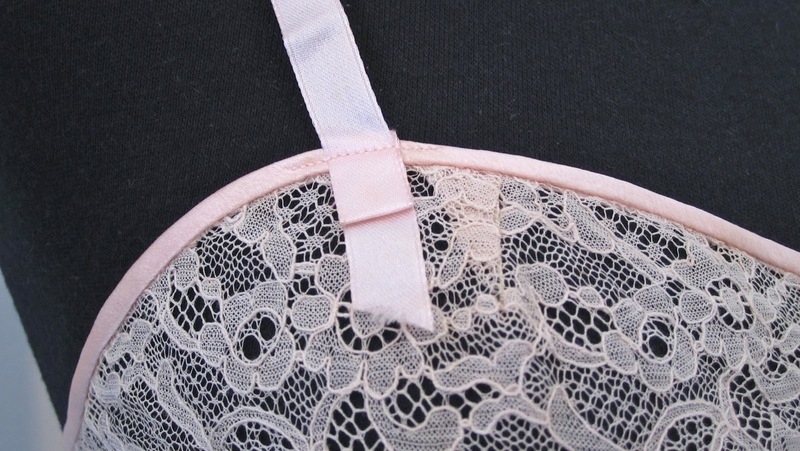 Also, looking at the label, I don't know that this bra has ever been worn or laundered before. Strap tails finished on the outside of the bra as an ornamental detail... the first I have ever seen. Whoever made this bra, they, like me, just couldn't quite seem to get their closure to match up perfectly either ( A miscalculation I make time and time again). Sigh, oh for the old days. As lovely as this bra is, and it's in my very tiny size, I'm terrified to wear it and risk harming it. 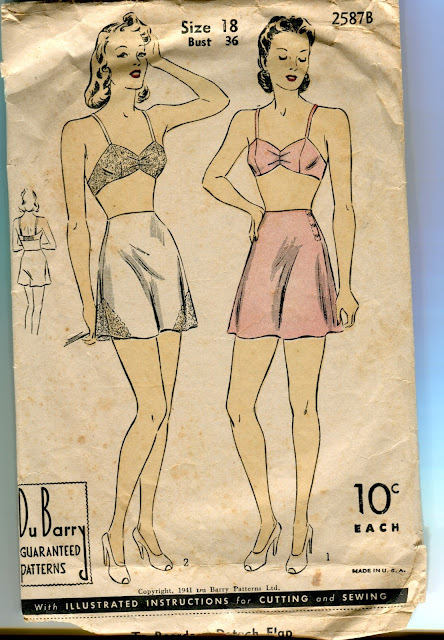 To recreate this bra myself I think I think I would use DuBarry 2587B. 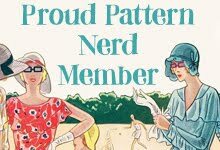 This pattern is beautiful and I'm tempted to make a reproduction of it. How about you? 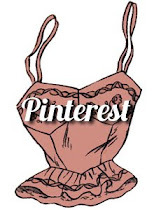 Do you have any vintage lingerie that's just too pretty to wear? I love the little pleats at the end of the straps! This is so lovely! Aside from being afraid of wrecking something as delicate as this if I wore it, I'd be afraid that it wouldn't offer any support. But so very lovely! I'm a fairly hefty old doll, with a 46 inch bust. 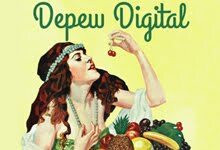 I once bought 2 (Handmade, I'm sure) silk slips at an estate sale. They fit perfectly. I wore them, mending as necessary, until they were little but rags. What joy!!! I felt lovely every single time I put one on. that I won't ever wear. 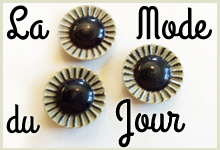 It is too large, but even if it wasn't, it is just too nice and delicate to wear. 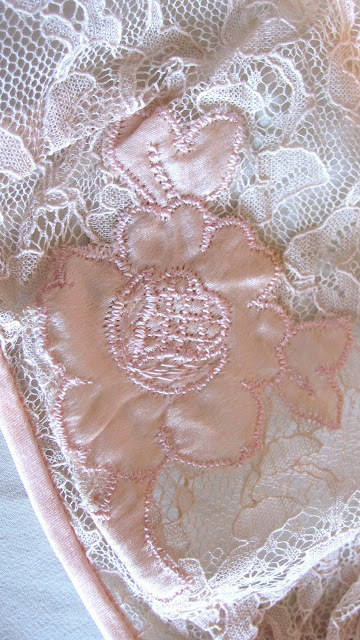 I love the little pink silk triangles and the lace has a velvety like texture on it. Really gorgeous. 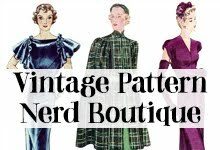 I also worry about the support issue with vintage items or even makes based on original patterns. Exactly! But they're so pretty! Oh so gorgeous! 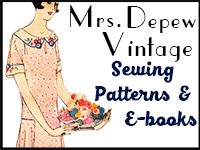 I admit that the only vintage items I own are patterns - so no clothing items. I think if I did own something like this, I may wear it on special occasions, but I would definitely try to make a reproduction. The DuBarry pattern looks like a good starting point, now you just need some beautiful lace. Perfect.they're so pretty,gorgeous.flower looks very beautiful. 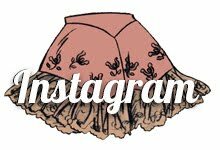 I hereby award you the Versatile Blogger Award.